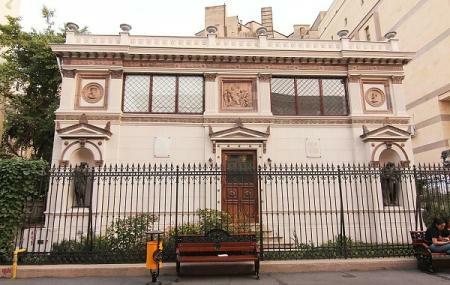 Part of the Bucharest City Museum collective, this was the home of Romanian painter Theodore Aman for over two decades. Cozy and charming, the house retains its 19th century feel, reflecting its look from the time he lived in it. The collection includes items from his life - letters, clothing, sculpture, paintings and musical instruments. Opened in 1908, it is one of the oldest museums in the city. The architect Franz Scheller designed this house in neo-classical style. The curator is passionate about the house and will be more than willing to give you a free guided tour. 2 lei for reduced priced categories. Very nice gallery art and museum, with a lot of interesting things. The guide are very nice and she really knows how to catch your attention. A very surprising experience for both Romanian and foreign visitors, with tons of information about such an underrated genius - Theodor Aman. Completely worth visiting. This is a beautiful small art museum, with a nice collection of paintings. The place could be improved with some english details on the paintings. The house is also very beautiful.